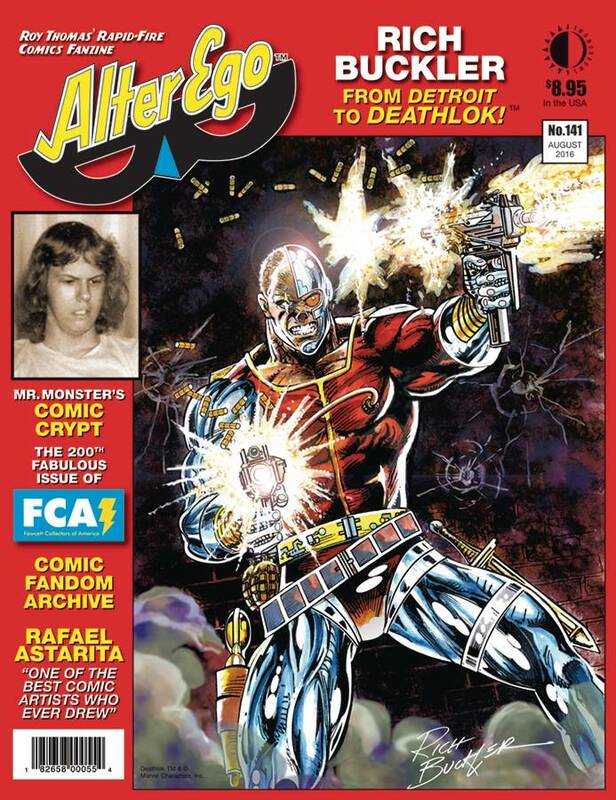 From Detroit to Deathlok, Alter Ego is devoted to the comet-splashed career of artist Rich Buckler! He drew it all: Fantastic Four, The Avengers, Black Panther, Ka-Zar, Dracula, Morbius, and a zillion mighty Marvel covers; Batman, Hawkman, and other DC stars; Creepy & Eerie horror; and thats just in the first half of the 1970s! Plus Michael T. Gilbert in Mr. Monster's Comic Crypt, Bill Schelly on comics fandom history, FCA (Fawcett Collectors of America) section, and comics expert Hames Ware on fabulous Golden Age artist Rafael Astarita! All behind a great Deathlok painted cover by Buckler!.